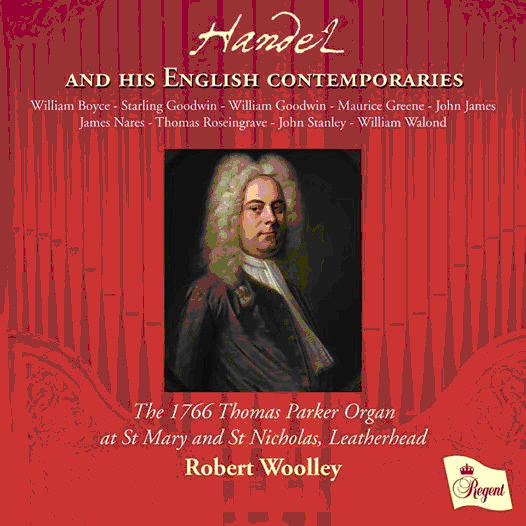 CD of music by Handel and his English contemporaries, including Handel’s friend Maurice Greene, organist of St Paul’s, Thomas Roseingrave, organist of Handel’s parish church, Starling and William Goodwin, organists of Southwark Cathedral, William Boyce and John Stanley, organist of the Temple Church, played on an organ built in 1766 by Thomas Parker – Handel’s favourite organ builder! The story of this organ is as fascinating as Robert Woolley’s exemplary playing. 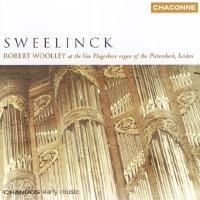 The recording of Sweelinck I made last summer has been released by Chandos Records. This offers the unique recreation of Sweelinck’s soundworld and was made on the magnificent large 17th century organ built by van Hagerbeer in the Pieterskerk, Leiden, which has recently undergone an enormously complex restoration by Verschueren Orgelbouw back to its original 17th century form. It is currently the largest organ in the world tuned in meantone temperament, and has some of the earliest speaking pipes in existence, dating from a previous instrument in the Pieterskerk built in 1446. Below is the virginals made by Johannes Grouwels who is recorded as Master of the Guild of St Luke, Antwerp, in 1579, in the collection of the Brussels Museum of Musical Instruments. An outstanding feature is the plucking point which lies about half way between that of the spinetta (plucked close to the nut) and the muselar (plucked well away from the nut). This gives the Grouwels a sound more like that of a small harpsichord than that of the more typical and later Flemish instruments. A copy of this instrument made by David Evans was played in the recording, together with Andrew Garlick’s copy of the harpsichord made by Andreas Ruckers in 1644 in the collection of the Vleeshuis, Antwerp, also pictured below. This is Ruckers’ last surviving instrument. A rich, rewarding brew of imaginative harpsichord music, expertly played…..without forcing the pace, he shows brilliant fingerwork in Esce Mars or a piece like the Toccata C2, and achieves clarity and composure in the more melodically driven works. These are pleasingly natural performances. There is not much competition in the world of Sweelinck recordings, but this stands out as an excellent harpsichord release in its own right. Those who didn’t splash out on Radio Netherlands’ nine-disc set of Sweelinck’s complete keyboard music in 2002 will be watching the development of Robert Woolley’s Sweelinck series with interest. The gem of this volume is the “Paduana Lachrymae”, its sharp sighs gently yet deliberately laid bare on Adlam Burnett’s copy of a 1611 Ruckers muselar virginal. 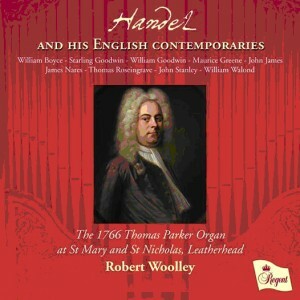 On this and in the grandest Toccatas and the smiling variations of “Die flichtig Nimphae”, Woolley’s playing is unfailingly illuminating. 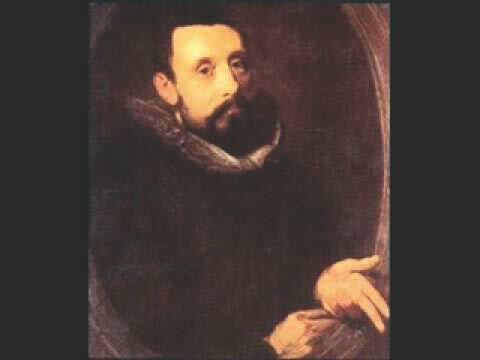 In 1604 the city organist of Amsterdam, Jan Pietersz. 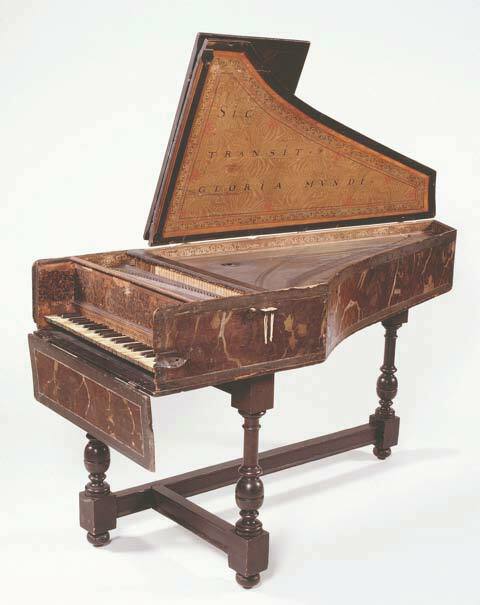 Sweelinck, travelled to Antwerp to order a new clavichord for the town hall from the famous Ruckers family. 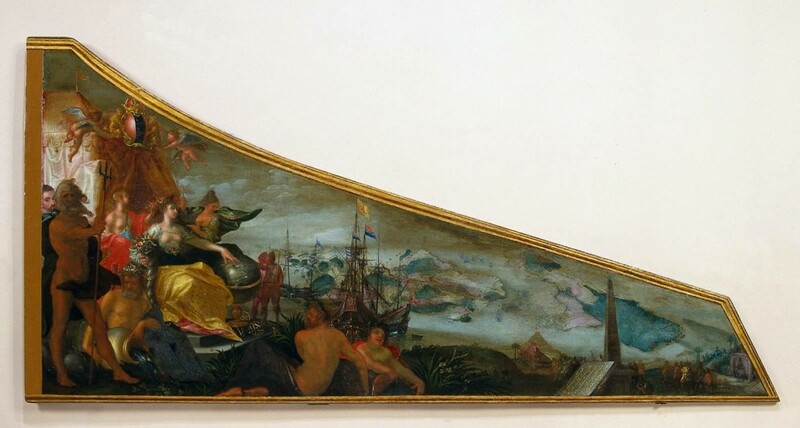 Shortly after its arrival, the city council asked Pieter Isaacsz to decorate the instrument. A design for the decoration was commissioned from the author and artist Karel van Mander. At the left of this ‘Allegory of Amsterdam as the Centre of World Trade’ is the personification of Amsterdam and beside her, Neptune. Two female figures offer her a ship and a string of pearls, symbolising navigation and wealth. She is holding her left hand over a celestial globe. A globe is a sphere representing the earth or one of the planets. A scale model globe would often be mounted on a stand to be placed on a table and turned on its axis., which two sailors at the right are consulting with nautical instruments.